Wrestle with that knee brace? the Bull isn't as affected in his own style. Lets just say if it's that big, it's probably necessary. Pffft. He probably doesn't even NEED the leg brace. Probably just using it to goad the opponent into focusing on attacking that leg. I knew a guy in HS that did that. Last year Spencer removed his knee brace right before the post season, ascended into superhuman form, and blew through the bracket with ease. Perhaps ol' Bull is planning a similar stunt. Is that photoshopped? It looks like that brace is wearing its own pair of pants. Where the hell were you with that advice when I could've used it in 1981/82? One of my rivals, 5-0 vs me, had a knee brace that I attacked like a brainless buffoon every single time. Oh wait, you did say "a smart wrestler". I wonder: might braces (head wraps, etc.) sometimes be emotional support objects (like domesticated or trained animals who are taken along by a passenger on a plane) for some wrestlers. I bet there are plenty of guys who have invested a particular pair of socks or headgear or warmups with superstitious power. You are telling me. I was thrilled when his HS career ended a year before mine (one less guy to finish behind at State!). From what I’ve heard, marinelli’s brace will absolutely not be coming off until he has surgery. He really shouldnt even be wrestling. I’d love to see him at full health. How does Marinelli...wrestle with that knee brace? Which begs the question. 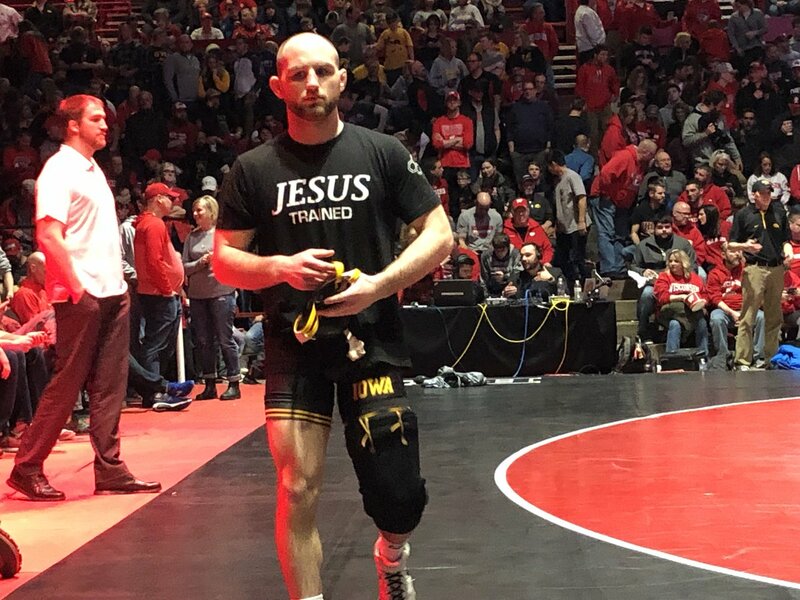 If Jesus was a wrestler, would he be a Hawkeye, Gopher or Nittany Lion? What would his favorite moves be? Sounds like your rival had the heart of a champion. Did he ever go on to make varsity at his high school? Imagine if Marinelli was also wearing Leeth's neck brace. 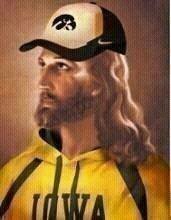 Jesus would be a Gopher or Nittany Lion. Satan would be a Hawkeye. As to wrestling moves, Jesus is remembered mostly for the crucifix. EDIT: JChapman beat me to it. He’d be like Lizak and get back points like loaves and fishes. I heard that the Lizard once fed the multitudes in Minnesota with flies and crickets.